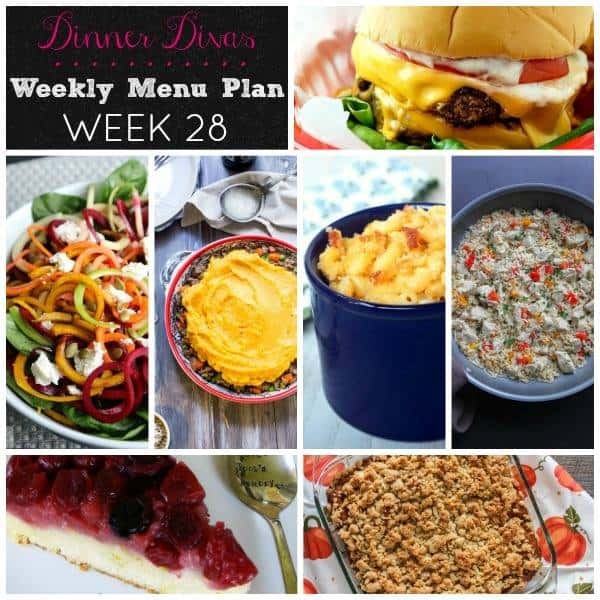 Friends, it’s that time of the week again where you grab your pen and your shopping list and get ready to write down all the ingredients you’ll need to slay the Dinner Divas Weekly Meal Plan for Week 28! We have all sorts of goodness in store: chicken and rice, a flavorful and healthy vegetarian dinner salad, comforting macaroni and cheese as well as a colorful twist on shepherd’s pie, and a killer burger. Plus Extras! This week, we have two desserts that could also be served with coffee whenever or maybe even for breakfast. You ready? Don’t forget to check the archives for any goodness you may have missed! One Pan Lemon Chicken and Rice from The Chef Next Door. One pot comfort, you guys. 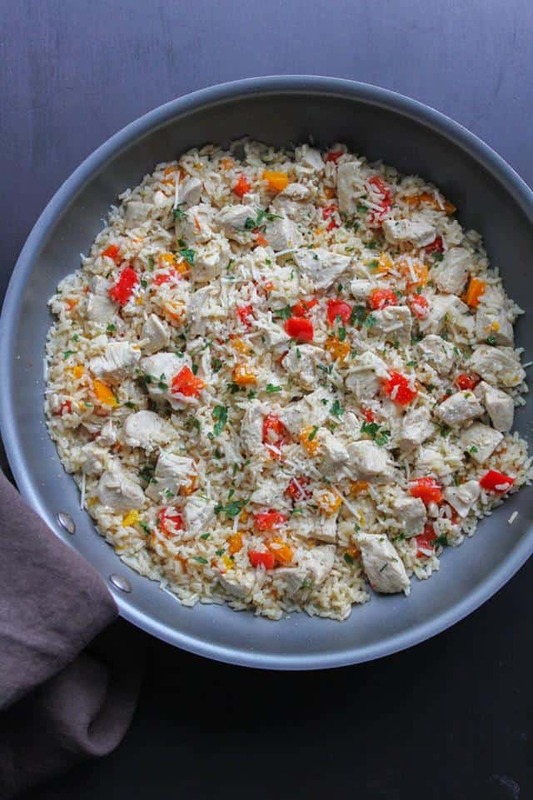 Chicken and rice, with an assist from sweet bell peppers. Ready in about 25 minutes. I call that a win. 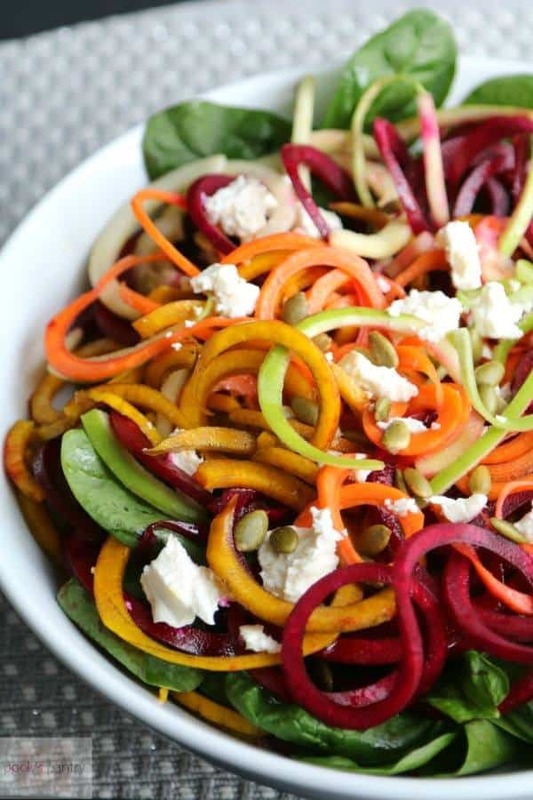 Spiralized Beet, Carrot, Apple Spinach Salad from Pook’s Pantry. Spiralize anything, and it’s fun to eat. Spiralize all these delicious vegetables (plus apples!) and it’s a healthy home run bathed in honey lemon vinaigrette. This’d be a great lunch box meal too. 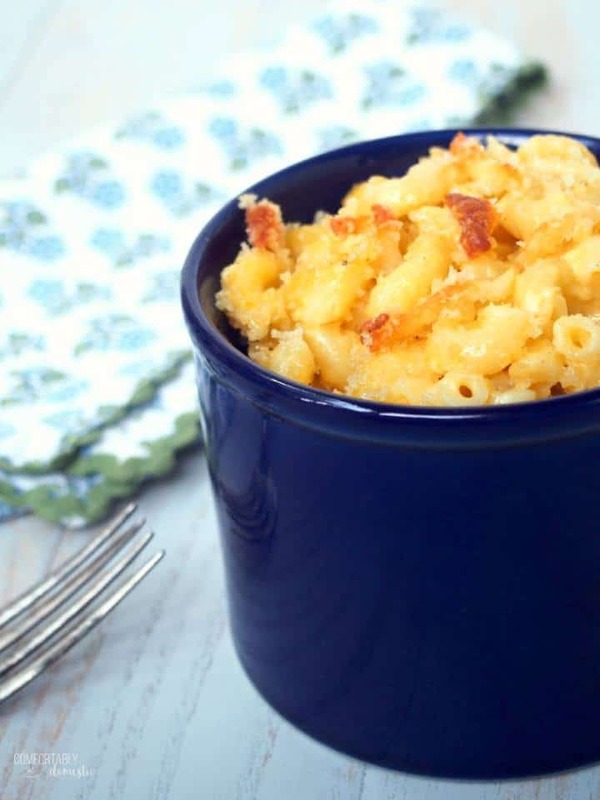 Make Ahead Macaroni and Cheese from Comfortably Domestic. Straight up comfort, times two. Yes, you can have your macaroni and cheese now and have it later. This large-batch recipe makes 2 9 x 13″ casseroles, one to eat and one to give. Or one to eat and one to freeze. Your choice, Either way, you get creamy, cheesy goodness with a crispy topping. Times two. Copycat Double Polar Burger with Everything from me. 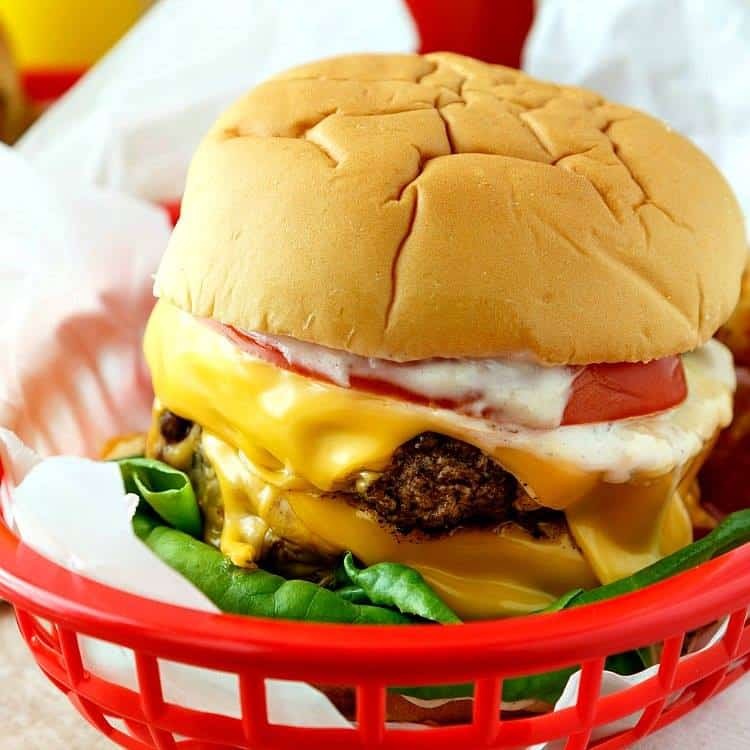 If you’re a fan of Grease, I probably don’t have to tell you that a Double Polar Burger with Everything is a Deluxe Offering from the Frosty Palace, and it’s also what Danny and Sandy both ordered on their date there. You know, before Rizzo threw her shake in Kenickie’s face and Sonny asked Jan to the dance and the Teen Angel sang to Frenchie? Yup, that’s the one. Butternut Squash Shepherd’s Pie from Girl in the Little Red Kitchen. 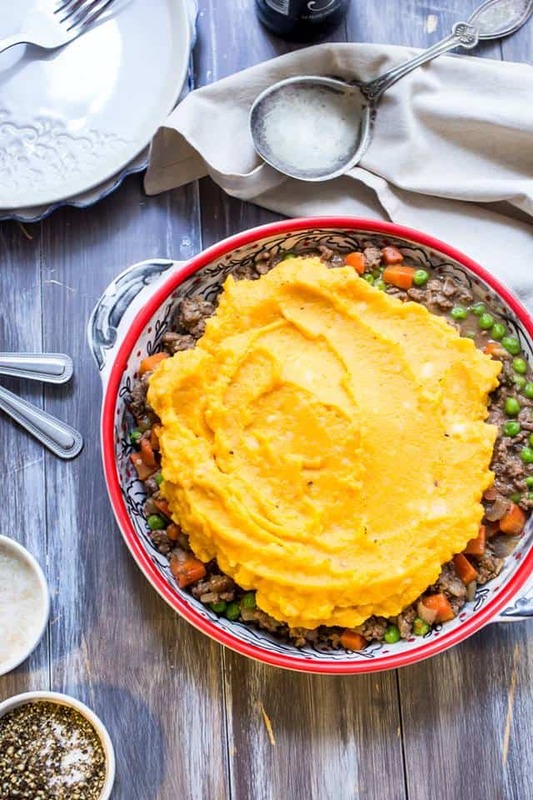 Traditional shepherd’s pie gets a golden twist with a cap of mashed potatoes and butternut squash perched jauntily atop a beef stew seasoned with thyme and oregano. Nice, right? You know I love ’em! Here we go with our extras. Pumpkin Coffee Cake from Chef Next Door. 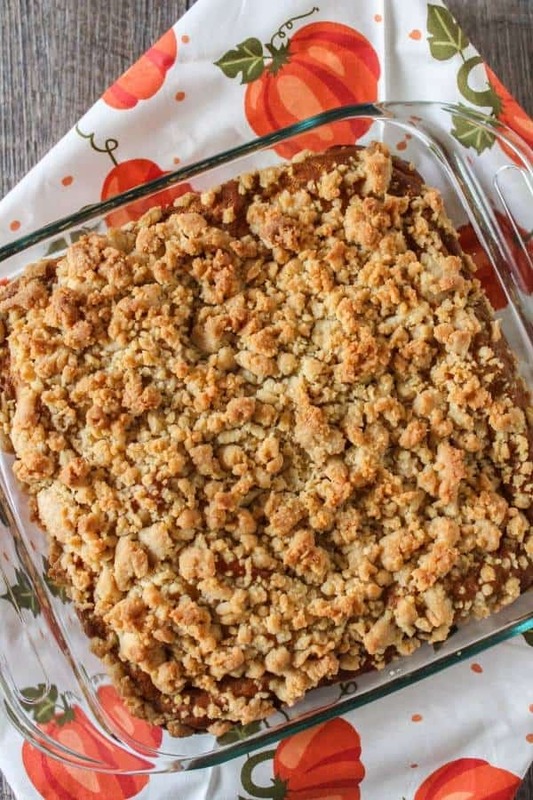 A moist and easy-to-make pumpkiny coffee cake with a crunchy, crumbly streusel topping. It takes about an hour to make, so whip it up, throw it in the oven, consider bathing, decide against it and play with your cats for awhile. Then go make your coffee, and your cake will be ready. Thanks Sarah! And, you’re welcome, everyone. 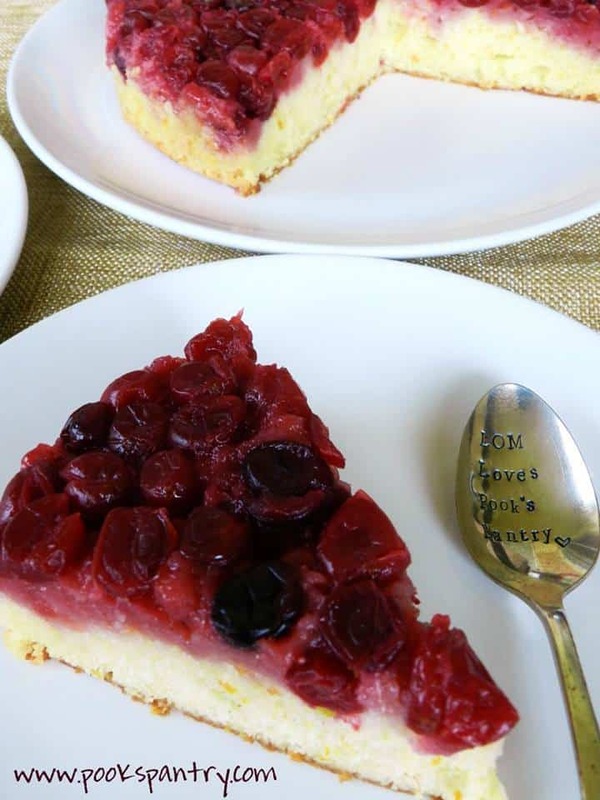 Cranberry Orange Upside-Down Cake from Pook’s Pantry. Leave it to my Sissy to make a not-too-sweet and perfectly balanced cake that you can feel almost righteous about eating at any time of day. Buttery, orange-y, cranberry-y topping and buttery, orange-scented cake. Think Thanksgiving brunch. Or brunch in general. Or tomorrow with coffee. Heck, make the pumpkin cake and the cranberry cake and you’ll have a coffee time buffet! And with that, we’ve come to the end of our weekly meal plan. It’s a really great one, right? 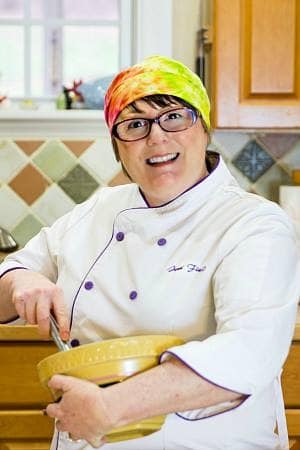 I know you’ll enjoy it all, whether you make all the recipes this week, or mix and match with recipes from the archives. Thanks, friends, for spending some time with the divas. 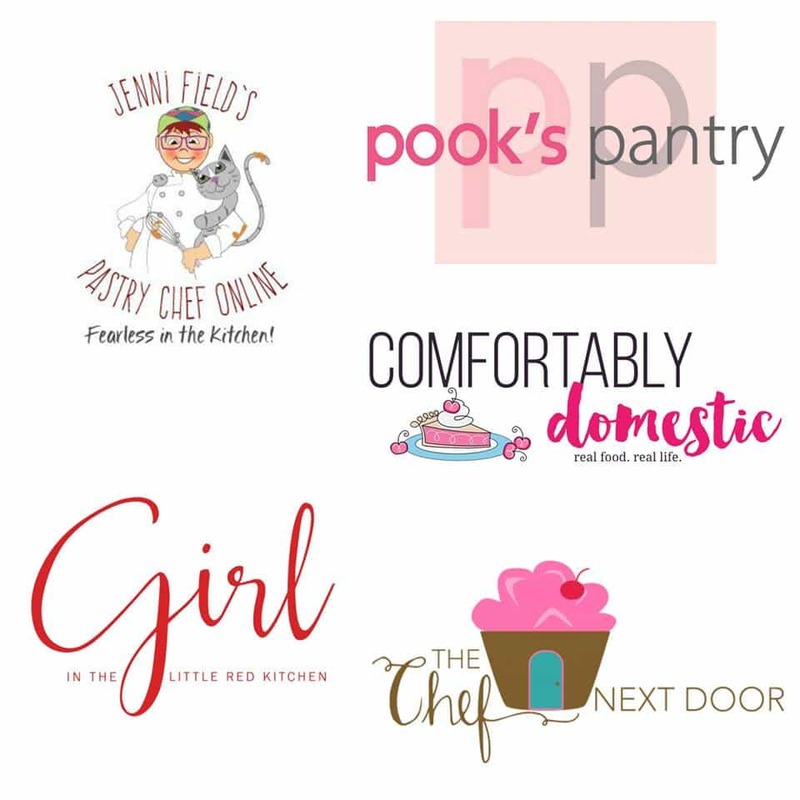 You’ll find us all over–just give a yell!